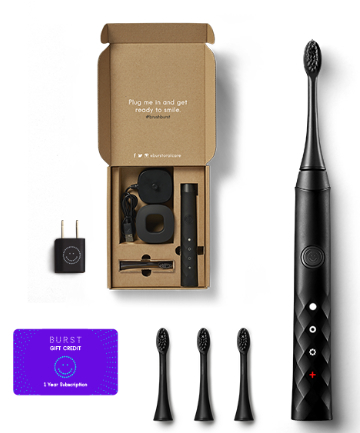 Burst The Burst Sonic Toothbrush, $69.99 Available in black, white and (for a limited time) rose gold, this super-sleek and compact brush packs a lot of oomph. It not only works to make your teeth brighter, but it fights against all surface stains and decay with charcoal-infused bristles and other cool features. When you buy it, you'll subscribe yourself to a $6 replacement head subscription, which is inexpensive compared to other brands.